Keeping the car clean is often something we forget to do as often as we should. Give your mucky motor a makeover with our brilliant cleaning tips and keep that showroom sparkle all year round. • Clean all your glass including wing mirrors, rear-view mirrors, windscreens and windows with a specialist glass cleaner and a microfibre cloth to prevent streaks. • Tackle any stains on seats with a good quality fabric cleaner or leather cleaner depending on your seat’s material. When you’re done, leave the doors open to allow them to dry before starting on the outside. • Use two buckets instead of one. Fill one bucket with soapy water (go easy on the car shampoo to make rinsing off easier) and one bucket with clean water. Use your clean bucket of water to rinse off your sponge/cloth/cleaning mitt as you go. This avoids you putting dirty water and debris back on your car and will save you water in the long run as you’re not dirtying up your soapy water. • Clean from the top and work your way down. • Sponges can sometimes damage your car as they move grit and debris around on the surface of your car as scrub. Use our extra soft microfibre mitt as a great alternative to effectively lift and trap dirt inside and away from your car’s surface, giving you the best scratch-free finish every time. • Don’t forget to give your tyres some attention too. An alloy wheel cleaner will have them looking as good as new and a tyre shine will give your tyres a ‘just left the forecourt’ look. • If you’re using and sponge and you drop it, rinse it thoroughly to remove any grit that could end up scratching your paintwork. • For the ultimate treat, finish by giving your motor a wax polish. 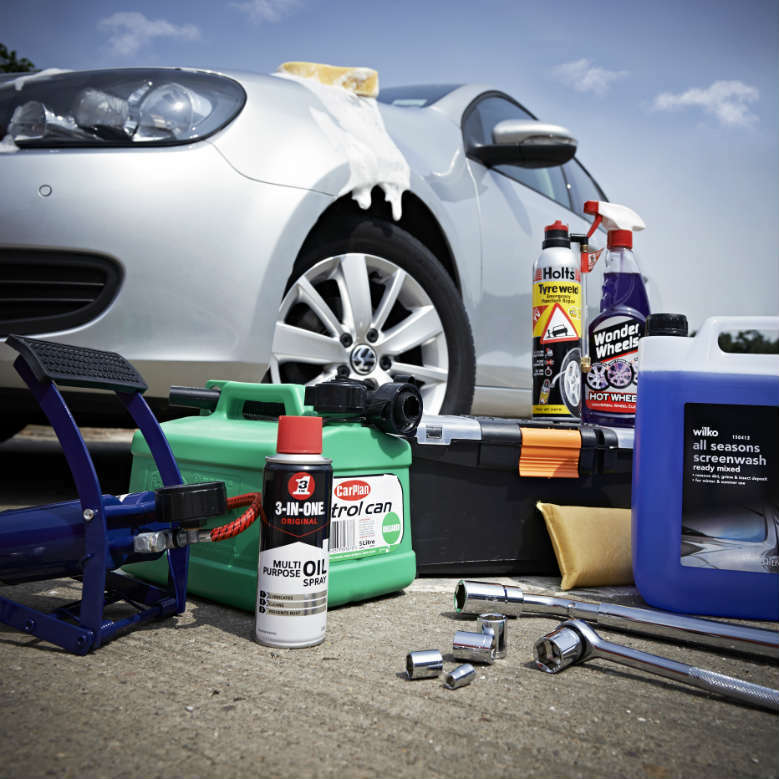 Not only will it look brand new again, it’ll also protect your paintwork from harsh weather conditions and road grime. And for some fantastic tips on how to save water whilst washing your car, head over to our tips on saving water in the home and garden blog.